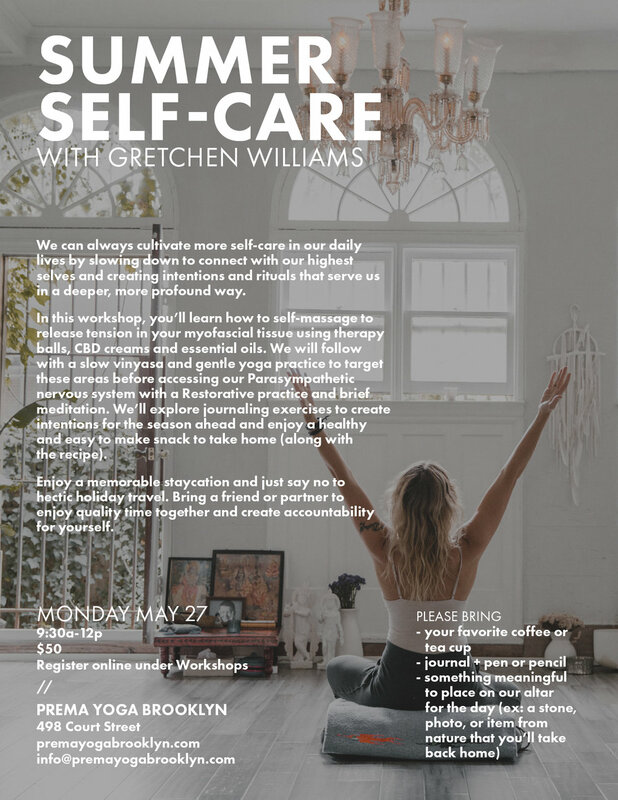 We can always cultivate more self-care in our daily lives by slowing down to connect with our highest selves and creating intentions and rituals that serve us in a deeper, more profound way. In this workshop, you’ll learn how to self-massage to release tension in your myofascial tissue using therapy balls, CBD creams and essential oils. We will follow with a slow vinyasa and gentle yoga practice to target these areas before accessing our Parasympathetic nervous system with a Restorative practice and brief meditation. We'll explore journaling exercises to create intentions for the season ahead and enjoy a healthy and easy to make snack to take home (along with the recipe). Enjoy a memorable staycation and just say no to hectic holiday travel. Bring a friend or partner to enjoy quality time together and create accountability for yourself.